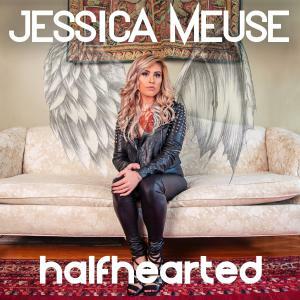 Jessica Meuse | © L.A. Entertainment, Inc.
Jessica Meuse – Halfhearted | © L.A. Entertainment, Inc.
LOS ANGELES, CALIFORNIA, USA, August 17, 2018 /EINPresswire.com/ — The new country album “Halfhearted” by Jessica Meuse has only been out two weeks, but it hit Top 11 on iTunes Country Albums and has already amassed over one million song streams on Spotify, Apple Music, and other music services. “Thank God It Didn’t Work” (an Apple Music Country Hot Track) has been added to numerous high-profile playlists, with Taste of Country also including it in their feature, 17 Songs From Women In Country That Demand Your Attention. 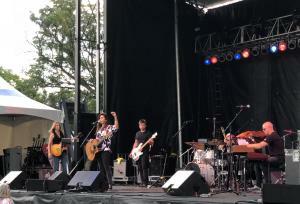 Additionally, Jessica’s national radio tour is ongoing with performances and interviews to date at WKDF, WKXC, WDRM, WSIX, WUSY, WRUF, WFUS, WOTW, WPCV, WAVE, WCKT, WWQM, WMAD, WMIL, WKTI, WUSN, WLHK, WFMS, WDAF, KHKI, KXIA, KXKT, WQNU, WIL, WKHX, WLWI, WDXB, WFFN, WNNF, WUBE, WCLT, WRBT, WIOV, KWFP, WFFG, KICR, and WMZQ. Meuse’s songwriting on her 15-song “Halfhearted” album represents the life, loves, and breakups that she has endured. It demonstrates the heartfelt dedication that has always driven her to succeed both personally and professionally. Thematically, the songs encapsulate the duality of everything, from the macrocosmic concept of good versus evil to the darkness and light that resides within everyone. Jessica Meuse continues her touring schedule with upcoming concert performances at Delta Fair & Music Festival/Memphis, TN, Blue Springs Fall Festival/Kansas City, MO, WMZQ Fall Fest/Bristol, VA, and Owl-O-Ween Hot Air Balloon Festival, Kennesaw, GA. On a personal note, Jessica is a fitness buff and brand ambassador for various products who dedicates time to raising awareness about Domestic Violence, Cyberbullying, St. Jude, and Children’s Cancer Association.